How Ozone Removes Odor For more than twenty years, ozone has been used by the cleaning industry to eliminate odors, allergens, and purify water. However, the equipment was too expensive for smaller companies. Recent adaptions of the ozone, hydroxyl, and UV irradiation systems are now compact and portable. For our reader's sake, you should also know that this type of powerful treatment cannot be bottled or sold in stores; so you won't see profit-minded companies boasting of their effectiveness. Ozone is extremely effective on smoke, foul organic odors, pet odors, and urine smell. Nearly every odor can be eliminated. Ozone is just another form of oxygen. We breathe O2, but when the right process is applied, it can be turned into O3 or Ozone. It lasts about 20 minutes then reverts back to O2. So, you can see why this is a Green concept. Ozone is also formed in nature when sunlight interacts with oxygen or when static or lightning is discharged. When active, ozone causes some wonderful things to happen. The third oxygen atom is loose and wants to find a place to attach. When it does, it causes a reaction that will remove odors, kill bacteria and mold, and sanitize the area. Ozone, hydroxyl, and UV must always be produced on the site because it is not portable. The great news is that when ozone is produced at certain levels it reaches places that workers and cleaners will not reach and kills what most cleaning products cannot. This process occurs on the molecular level and is very effecitve for rapidly removing odors and other pollutants. UV irradiation is used to sanitize the air in confined areas. UV is effective but is limited in volume and reach. UV is part of the process, but it is not a single sanitation solution. Hydroxyl treatment is very effective, allowing people and pets to stay in place but has a limited reach due to the fast decay of the hydroxyl molecules. Some do not care for the "Clinical Smell" left behind by hydroxyl treatment, but this will dissipate in short order. The key is the application process and the generator volume that can be affected by factors such as temperature and humidity. If the application does not keep up with the decay rate, leakage, or ambient factors; the ozone process will not be fully effective. Commercially available ozone generators are not effective for a true odor or sanitizing treatment. The volume produced by most commercial ozone generators is generally too low to do the job and cannot keep up with the decay rate. Other protocols for health, damage, or effective treatment should be followed. Therefore, requiring that the odor removal service employs a Certified Ozone Technician means that he or she is trained in protocols for ozone, hydroxyls, and UV applications. Hotels Odor Solution HOTEL ODORS Thinking about buying an ozone generator for your hotel or apartment? Here's what you need to know before you buy. Is it the right size machine? Who will maintain and repair it? What about the tough jobs that are too much for the machine? That is why, we have our lease/support program for hotels and apartment complexes. We lease the equipment, provide the training, and treat the larger areas that you can not for one, low monthly fee. We can lease ozone units that come with online training for your staff, 100% repair of all units, and quarterly treatment of the common areas with the BioZone sanitizing treatment. Each quarter, we apply a people-safe surface treatment to hallways, elevators, lobbies, gyms, and eating areas. Your facility will be a fresh smelling, germ fighting, and mildew free area year round. All this for about a dollar a room. But, think of what you will avoid. Stop customer complaints about offensive odors in the room or building. Proudly show that your rooms are germ-free. And, no one likes the smell of mold and mildew. Are you running an ozone machine for 24-48 hours just to treat one area? That is lost revenue. 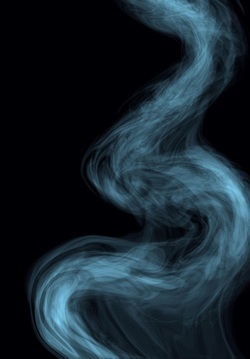 We show you how to treat a room for smoke and odors in just 3-4 hours. Getting started couldn't be easier. Call our office today. We'll bring your ozone units to your facility and explain how our services work. If you like our services, you keep the ozone generator as long as the program is in place. In addition, your facility will have the bragging rights as the best smelling, most sanitiary, and healthy facility in town. Get The Smell Out Of Gym, Spas, And Workout Centers There are two big concerns that can have profound affect on the members of any gym, spa, or workout center. They are SMELL and GERMS. 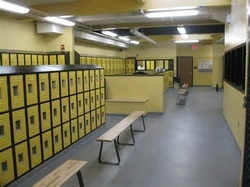 Odor and smell tend to go together, and most of these workout facilities rely on their cleaning program to do the job. Certainly, the cleaning program is essential to gyms, but there are many basics that can be ignored or poorly applied. All of these aspects blends into the healthy environment and has a very real impact on those who visit or work in the building. During a Odor and Sanitizing Consultation, a review of each of these process. 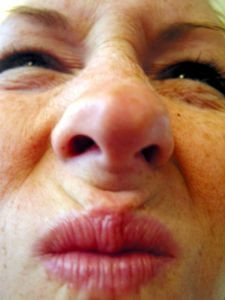 However, the often ignored issue is the microbial impact that is the source of most odors and germ opportunities. We provide immediate and long-term programs that will provide a fresh-smelling and germ-free environment. Odoxout bring proprietary skills and tools to the program not found elsewhere. Odors are hard to resolve but a real turn-off to patrons. Every gym that has people in physical contact with equipment needs to know that "Wiping Down the Equipment" is a small step toward a safe and sanitary process. There are three critical ways to insure that your facility will not become "Ground Zero" for a disease passed along to paying customers. Our three step process is amazingly effective and allows the patrons to feel safe and secure at the facility. The truth is that there is a segment of society that worries about the health implications of a gym or workout center. This goes well beyond the exercise aspect. The more people frequenting your facility, the higher the likelihood that germs will pass to unsuspecting visitors. Odor removal should not be reactive, but proactive. We know how to permanently get rid of odors and keep any facility fresh and odor-free. As a professional sanitizing service, we can do what a cleaning service can never accomplish.